There are two elements to this guide, namely an indication of the least viable betting options with an insight into some common mistakes and guidelines for successful betting on sport. Combining these two areas of advice your performance should improve especially if you are a beginner. Some of the most popular bets on the market are not recommended. Two of them are perfectly suited to losing money and are thus favourite bets in the bookmaking community. If you resist these betting opportunities you are likely to save money. Just about every bettor has placed an accumulator bet in the hope of combining high odds options with a couple of apparently safe selections. This especially applies to once a week punters who deposit £10 into one of their betting accounts on a Friday night hoping to get rich over the weekend. The truth is that accumulator bets are one of the main sources of income for bookmakers and that indicates how poor value they are for punters. As you can see our betting slip shows a multiple bet with tasty odds of 38.40 which means a return of £384.00 for a £10 stake. However, these odds equate to a probability of less than 3% that each prediction wins. That low return gets worse as you add more games. The same theory applies to another approach that is slightly different. Many bettors only include two or three teams in their multiple bets that are clear favourites. 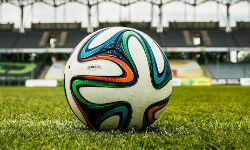 Bankers include teams like Barcelona, Bayern Munich and Manchester City. Three teams priced at 1.30 combined produce odds of 2.20. This sounds like a good proposition but there are always surprising results in sport. If Bayern unexpectedly draw against Frankfurt the bet fails. The more games included on a betting slip the higher the probability of one match turning out not as expected. You should always remember that one losing selection can make an accumulator crash. Even if you are lucky and your acca wins you will soon realise that bookmakers put limits on your potential profit. That means that the return is limited to a certain amount of money. It depends on the operator but a typical limit is £20,000 which is the maximum profit. As an illustration lets assume you had picked 12 from 12 winners in an accumulator which returns £30,000. Unfortunately due to restrictions you would not receive the full amount. This is pretty annoying and another consequence is limited stakes in the future. Bookmakers are mainly quite allergic to winning customers. Even so in some cases accumulator bets can be useful. Let’s say you identified a couple of value bets (explained further later in this guide). There’s nothing wrong with combining these options and letting the odds multiply. Unfortunately that is easier said than done especially for rookie gamblers. It is a key betting skill to find value and those who are able to do this will be successful bettors in the long run. Live betting on football and other sports has become one of the most popular features of online bookmaking and the trend is for it to increase. There is a general feature of live betting: you hardly ever find any value in this type of bet. It’s not impossible to find odds that are too high but it can be tough. Bookmakers are very good at compiling live odds so you may only have a couple of seconds to place a bet at decent odds. Many professionals are looking for the same windows of opportunity and that quickly negates the value. Live bets illustrate perfectly the control bookmakers have over their customers. The growth in live betting is the main reason why more events are streamed live on bookmaker’s websites. Bookmakers noticed that the number of bets increase when customers can see live coverage of a match. They are in a better position to make predictions about the outcome of an event they can see live. Another major disadvantage in live betting is that bets are subject to a delay between the live action and being accepted. In contrast pre-match bets are taken instantly without a delay. The delay associated with live betting can be ten seconds or more. Millions of punters are probably screaming every weekend when their bets are rejected. You can forget placing a quick bet after a goal. Bookmakers have procedures to automatically close markets after significant events such as a goal, red card or the award of a penalty. Does this mean that live bets are always a bad option? The answer to that question is not necessarily although there is only one possible scenario in which in-play betting makes sense. If some odds represent value before a match starts they won’t disappear in the first few minutes of the fixture. This situation comes about especially in some Under markets when the odds can increase slightly once the match has begun. The same can be said about some Asian Handicap markets but only the positive quotes such as +1 AH for a team. However, considering the disadvantages its best to avoid any in-game bets. Live betting is overrated but getting more popular so don’t support your bookie by doing it. It’s fairly obvious why betting on your own team is not a good idea. Firstly, people tend to overestimate the potential performance capability of a team they support. Loyalty and faith make fans think their own side can beat anyone at any time. The reality is that you should never lose objectivity when betting. Never. The second thing is the pain is only increased when your team loses and you have placed a losing bet. You not only see the team you support drop points but you also lose money. Even if you make a reasoned decision to back the opponents you will be in the uncomfortable situation of cheering on the other team to beat the team you support. So betting on a match in which your team is involved is just about always a bad idea. We suggest you avoid this type of bets as they are underhanded. Bookmakers usually quote players who are on a good run of scoring and customers miscalculate the true odds of these players scoring again because they are popular. The result is that customers buy into a poor bet. The odds are too short and incorporate a big margin so the bookmakers have an advantage. This edge is not great but enough to make money but hopefully not yours. It is better to focus on Asian Handicap and Over/Under markets instead. There is more competition amongst bookmakers in these areas and the better odds are more favourable for customers. The same applies to classic bets on the outright winners of tournaments. Now we have explained some of the worst betting options on the market we now wish to focus on some common mistakes made in sports betting. We will have a close look at confirmation bias, good money management, cash-out facilities and bonuses. The best research is objective and based on an assessment of all the facts with reference to the odds. In fact, most gamblers make a betting decision and then look for the evidence to support it so fall into this trap. For example, instead of focusing the last three matches a team have played and won examine more closely the last 10 or even 15 fixtures. The result is a more accurate assessment even though you might not like what has been discovered. Firstly the stake is rising exponentially during a losing streak. For example, if you lose the first £10 bet the second bet must be £20, the third bet will be £40 and so one. The fifth bet would have a stake of £160 and most bettors realise it is feasible to have five losing bets in succession. At some point you simply run out of money. The second drawback is that bookmakers place limits which means your stakes are restricted. If you have a losing run of say six bets the bookie could spoil the system by refusing to take a big enough bet to recoup the losses from the previous bets. So what can we conclude? Although the probability of having a long losing run is low it is not quite as low as you might think. Losing your betting bank while adopting what is known as the Martingale system is a realistic scenario. The ongoing success of online casinos is based on a similar misconception. People tend to think that the Martingale system will eventually work out. They believe the outcome of a spin in roulette will bring about different results and that after a number of reds there HAS to be a back soon. The colour does change but often too late so the player needs to place ridiculously high bets after several wrong predictions. The system has to be followed in the context of the limits placed on stakes by the casino. The implication for your betting is that losing bets must be accepted and not offset by doubling the stake and losing even more. The Welcome Bonus, offered by bookmakers like the bet365 (read more on the bet365 bonus code) is a good thing but it works both ways. It does provide more money for betting opportunities but involves some heavy betting requirements before a withdrawal is allowed. These conditions can lead to some risky bets. In most case the matched bonus is 100% of the initial deposit. However, both the bonus and the deposit must be wagered several times. Unfortunately bookies also set minimum odds restrictions and bets at shorter odds do not count. You deposit £100 and get an additional £100 as a bonus. The requirements might specify that you have to wager five times the deposit and bonus at minimum odds of 1.80. This means you can access the bonus after placing bets of £1,000 (£200 x 5). Most customers will focus on risky bets which is what the bookmaker wants. The result is that most lose the bankroll so the bookie does not pay the bonus. A further drawback for customers is that they have to meet the staking requirements in 30 days after making the deposit. That equates to bets of £1,000 per month which is substantial especially for a beginner. You must be careful with these bonus offers and the best policy is to avoid them. This is not the best option for most customers but it is worth considering. However, there is an alternative and a good way of using bonuses which will be explained later in this article. If bookmakers promote something on the basis that it will be useful for their customers it probably won’t be. The operators are trying to create a make-believe situation in which punters are in control. If the feature was not to their advantage it would never have been invented. Cashing out during a match is in effect a live bet and we have already pointed out that live bets do not represent good value. You will also experience another facet of bookmaking. Just as they immediately close markets during play after a significant event they will do the same with the cash-out facility when something important happens. This habit makes the whole feature pretty useless. The feature can be beneficial when you placed a bet on the wrong team and you wish to correct the error. After focusing on what not to do we should now look at potentially good strategies for making some profit. There a number of issues to address but one key requirement is to find the perfect bookmaker. Let’s be honest: it’s hard to find something that does not exist. Every bookmaker offers advantages and disadvantages and every customer has different needs in their betting. But we will try to shed some light in the darkness of this matter. In general, bookmakers fall within several groups. Most of them are private companies with a long history, many features such as live streaming and an extensive range of betting markets. Most odds are about average but there is the annoying tendency to limit successful customers. In the car selling business these operators would be akin to vans in that they are very comfortable but slow. They are excellent for beginners but not intermediate users or professional gamblers who want to go fast. Another type of operator is the exchange bookmaker. Customers don’t bet against the bookmaker but each other. Odds are generally better and no limits apply. One disadvantage is that these sites require some experience to operate. The variety of sports is not as extensive and betting on lower leagues is difficult. Some common features like streaming are not available and there might not be a welcome bonus for new customers. In the car analogy betting exchanges could be described as minimal sports cars in that they are hard to use but fast and powerful. A third group are the private bookmakers who try to handle winners in a different way to their competitors. Even though they are private and striving to make profits they distance themselves from the biggest and most popular operators in the sector. Examples of this type are Pinnacle Sports and SBObet, an Asian bookmaker popular with sports bettors. In terms of odds they can compete with the betting exchanges but in the field of user-friendliness they struggle. Also, most of them are not regulated in Europe but if you are comfortable gambling on the basis of a license from Curacao or Asia these operators should be your first choice. Please focus on the following features when choosing an online bookie and take a look at the rough guide later in this article. Nothing is more important than good odds for the next event. If your bookie only offers average odds find one that is better in this area. Odds comparison helps in finding the best bookmaker. If you are unsure about reliability carry out some research online. This process might take a couple of minutes but you avoid a situation of regrets about registering when you could locate a bookmaker that offers better odds. Beginners are not too concerned about odds but this can change. Betting limits are not that important for the rookie gambler but the more experienced customer will be interested in the limits. If you are exceptionally successful when making your selections most private bookmakers will notice using their security procedures. Once they have tagged you they will limit your stakes. If you can only place bets for £5 a bookmaker has probably noticed you are winning and is not taking kindly to your results. The two solutions are to use a betting exchange or find a bookmaker that does not place limits and tries to attract professional gamblers. A bookmaker will offer a range of sports and leagues and a variety of markets for an event. One of the most popular types of bet is the Asian handicap which is becoming more prevalent than the European Handicap. Not every operator offers Asian Handicaps even though this type of bet carries less risk than other handicaps and bets. Its best to check the range of bets offered by your bookmaker and make sure they are diversified as possible. This advice applies to the different types of bets and the sports and leagues that are offered. It can be a significant advantage if your bookie covers some of the lower leagues such as the Conference National and Isthmian League. The lower down the hierarchy that odds are available the better. While most leading operators will know more than you know about the main leagues they may be unsure when setting odds for a match such as Fleetwood Town against Barnet. We have now divided bookmakers into three groups and advised you on the main areas of focus before making the final decision. However, even within these distinct groups there are many variations and it’s hard to choose a bookmaker that perfectly fits your needs. Nevertheless we have created some guidelines for each type of bettor. This type of bettor should opt for traditional bookmakers such as Ladbrokes, William Hill. They offer all you need as a new starter in betting and are a perfect place to learn the basics. These companies are reliable and well-known and that creates trust. However, the odds are not the best and winning customers are not really welcome. Moving to the intermediate level finding the best odds and bookmakers who do not limit your bets should be the main areas of focus. The ideal betting partner is either an exchange like Betfair or Matchbook or an advanced private bookmaker like Pinnacle. Asian bookies are primarily where professionals are placing their bets. Betting exchanges are another option as long there is enough liquidity for the sports and leagues they would like to bet on. While you can’t change how certain bookmakers operate you can always look at your money management. Humans by nature are greedy and this should not be underestimated. It’s not just about trying to recoup funds after a losing run (like tilting in poker). The instinct after a win is to try to win more and you would be surprised how many customers do just that. They might win £100 and then bet the winnings again because of the temptation of winning more. As a guide you should not risk more than 1% of your bank on any one bet. Significant funds are required to keep to that rule so raising the stake to 5% of the bank is acceptable in the beginning. That means if you deposit £100 the maximum bet should be £5. This approach might seem like hard work and boring but it makes perfect sense if you want to avoid a betting disaster. By using a small percentage of your bankroll you can survive a long streak of losing bets. To keep your funds intact you have to minimise the risk while trying to generate profits. This sounds like an impossible balancing act but in fact it is not. You are relatively safe from losing the bank if you stakes are low and closely related to the bankroll. When you have a successful run the stake unit will increase automatically. Did we say that finding winners at high odds is essential for successful sports betting? But to go into more detail it is essential for long term profitability to final value in your daily bets. Simply put, value bets are those with odds that are too high which may be the result of mistakes made by the bookmaker. However, as odds compilers get more professional finding value through your own calculations is becoming more difficult but hard work in this area pays off. You must take this result and compare it to your personal estimation. You might think 62.5 is too high because some key players are injured and Chelsea have been disappointing in recent games. In this case betting on the double chance which in effect is a bet on Chelsea not to win could be the value bet. One of the key factors in finding value is your own estimation of an outcome happening and the odds on offer. You can try out this process without being impatient. The whole concept of finding value should be approached on a long term basis because you can only evaluate the quality of your estimations over a sustained period of time. If the bankroll is increasing you are getting enough of your estimations correct. In addition to estimations there is another advanced method for finding value. This is based on creating your own betting model on an Excel spreadsheet but for more guidance please do a search on Google. You can find many betting predictions online. Not all of them are free but some are. If you are able to find a decent platform like a tips board or forum where users share predictions then you should use it extensively. Tips can often reveal value in games that you haven’t considered and if you also get some reasoning for the tip so much the better. The value of tips depends on their quality and the writer’s talent. 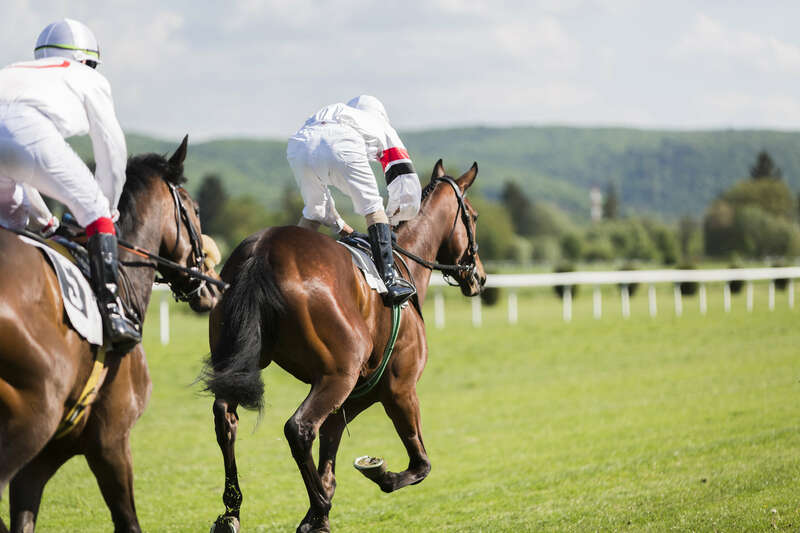 However, a tip analysis might contain some key information like recent form, injuries and other pointers towards placing a bet and can be used as a foundation for your own research. This applies more so in lower non-professional leagues when people can have better information than the bookies. If you find a forum where this insights are shared that is a positive. Free tips are useful but paying for tips is another matter. Firstly, you don’t have any proof that the tipsters are as good as they suggest. The yield might look impressive but anyone can write random numbers on a website. If very successful bettors are selling their tips you must wonder why they don’t just focus on betting. Discipline applies during a winning and losing run and is closely related to money management. You must enjoy a winning run without becoming overconfident. You feel invulnerable but probably not the world’s best tipster even though you might not agree. Winning can sometimes lead to higher stakes and bets you would not normally make because fundamentally we are all greedy. A losing run can have exactly the same effect but we do feel vulnerable. Stakes can rise and picks made almost at random. Punters who think they are on an unlucky run will desperately bet on the next available event, even it’s a game in the Singapore S-League in order to recoup their losses. This happens more often at night and after drink has been taken. The worst think you can do is bet when not sober but also ignore the casino and poker section. These products are ideal for losing the rest of your bankroll. Please bear in mind that successful betting is a slow process. Nobody deposits £10 and makes a living from betting after just two months. The work can be tedious at the start but will speed up after a winning run due to the compounding interest effect. We have already mentioned discipline but there’s nothing wrong with repeating the key information almost like a mantra. An important rule is not to bet on everything and select random sports and events. You should apply this theory to the close season in football and not be tempted to bet on the men’s javelin at the Olympics. We suggest focusing on football because of the extensive range of leagues that are covered. If you are knowledgeable about the sport it is much easier to make an estimation and compare the odds to identify value. Some professionals focus on the NBA and MLB in the same way and these sports also present many games to assess. The key to successful sports betting is learning and taking betting seriously should improve your level of knowledge. Reading articles about advanced betting theory and strategies is not only interesting but can also be useful. It leads to a better understanding of the mathematics of betting. There is a view that betting is about knowing a lot about sports but at its core is pure mathematics. You should record every bet, not only the good ones but also the bad ones. That means extra work when for some people betting is supposed to be fun. However, writing down your bets or recording them on a spreadsheet gives an excellent overview of performance and is something that professional sports bettors do as a matter of routine. In which sports do you have expertise? Which leagues are the most profitable? What are the most successful types of bet? If your yield is relatively high betting on Asian handicaps a simple Excel sheet will reveal this trend. The more you bet the more precise your data will be. We have said that you should be careful with bonuses but they can be used safely after opening an account but this requires an advanced process. The basic theory is that you place a bet with your bonus and bet on exactly the opposing option with another bookmaker. In this way you have bets on all possible outcomes so winning is guaranteed. In a match between Liverpool and Newcastle in the Premier League Ladbrokes might offer odds of 1.83 that there will be more than 2 goals and BetVictor offer 2.00 that the total number of goals will go under 3. You must bet the deposit plus bonus of £100 each with Ladbrokes on more than 2.5 goals. You then stake the same amount on less than 2.5 goals with BetVictor. It’s important to stake the same amount for both bets. This might sound speculative but the logic of mathematics won’t let you down. If the Over wins you will have £400 in your Ladbrokes account, meaning a profit of £200 which equates to the losing bet with BetVictor. In other words, you would have transferred £200 from your BetVictor account to your Ladbrokes account. If the Under wins you will lose the £100 deposit and bonus with Ladbrokes but your balance with BetVictor will be £366 which means a profit of £66. This win is not related to wager requirements and there is no loss associated with using the bonus. This process is known as pushing because you push the bonus either to win one account or fulfil the wager requirements on another account. If you follow some of this advice you will notice an improvement in your profits. Some of these instructions are advanced especially for beginners. Not everyone is likely to start pushing bonus offers or manufacture a betting model to identify value. But that’s fine as you can start with the basics and see how your betting goes.